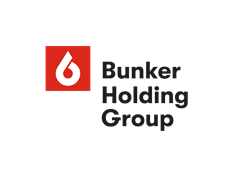 Learn how Bunker Holding Group, one of the world's leading bunkering groups, found an easy and intuitive backup and restore tool for their 829 Office 365 users worldwide. Learn how the Jane Goodall Institute improved efficiency and scalability after AvePoint executed a 50 user, 330 GB pilot migration to Office 365. Learn how Veidekke, the largest Norwegian construction and civil engineering company, gained a backup solution they can rely on, as well as a primary platform for collaboration with AvePoint Cloud Backup. Learn how Sitowise, a Finnish company formed through the merger of the Wise Group and Sito Oy, backed up their data in Office 365 with Cloud Backup and moved into a widely-accessible, document management portal with FileShare Navigator.